Wooden Folding Portable Stove is a very well designed toy which is practical, beautiful and fun. 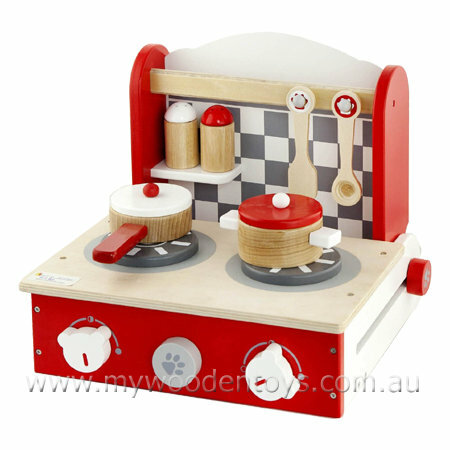 This wooden Stove comes with everything your little chef needs to create wonderful pretend meals. There is a spatula, and spoon, which can be hung up a pot with lid, a sauce pan with lid and two seasoning jars. Size: The box is 31 x 30 x 9cm. We like this because: "Very well designed, a great size and packup time is easy. "